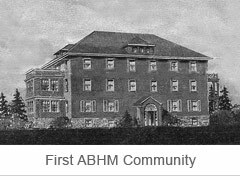 In 1929, the founders of American Baptists Homes of the Midwest (ABHM), parent company of Crest Services, defined our mission as, "charitable, educational and religious for the physical and spiritual care of those person who experienced difficulty in adequately providing for their own well being." For the past 85 years that vision has grown and developed into a vital, dynamic ministry serving over 2,200 older adults, families and people with disabilities in seven retirement communities, 45 group homes and six subsidized housing communities located in WI, MN, IA,NE, SD, and CO.
Our Mission at Crest Services is to create a healthy Christian community that empowers people with disabilities. 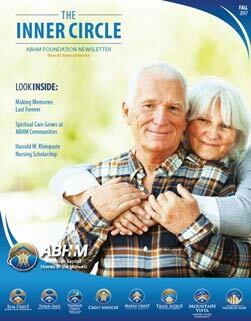 We provide choices for housing, services and technology that enrich body, mind and spirit. 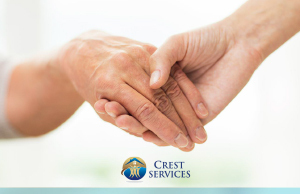 In 2011, ABHM in conjunction with Crest Services, established the Mission Legacy Fund to ensure our tradition of service continues. The purpose of the Fund is, "to support the physical, mental and spiritual health of individual experiencing difficulty in providing for their own well being." The Mission Legacy Fund has a ten year goal to raise ten million dollars. Today, in 2014 a mere three years into our effort, we are nearly halfway to our goal with $4.4 million raised. We encourage you to join us on this journey by contributing to the Mission Legacy Fund and create a lasting legacy that you are proud of that will sustain our ministry for years to come. For more information on how you can contribute to this fund through a Planned Gift, click here. 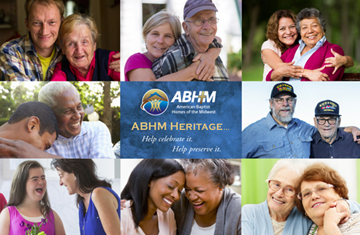 Please note that as in the case for all donations you may choose to designate your contribution solely for the purpose of a particular ABHM community.